The Kids’ Fun Run is an annual Walter’s Run tradition. Kids 10 and younger are encouraged to race the 1k (~1/2 mile) course. Ribbons, hot chocolate and candy canes are provided to all Kids’ Fun Run participants. This is a fun and festive event and not overly competitive. The Kids’ Fun Run starts and finishes at the 5k start line on Bellevue Street. 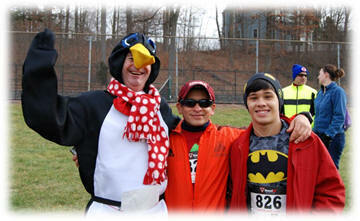 Cheer on the kids as they chase Paulie the Penguin and then your family can see you off at the 5k start line. The 10:15am start time of the Kids’ Fun Run is designed so a parent can do both. Registration is free but required. We encourage parents to pre-register all kids online (sign-up fees are waived) or to fill out a paper application in advance. 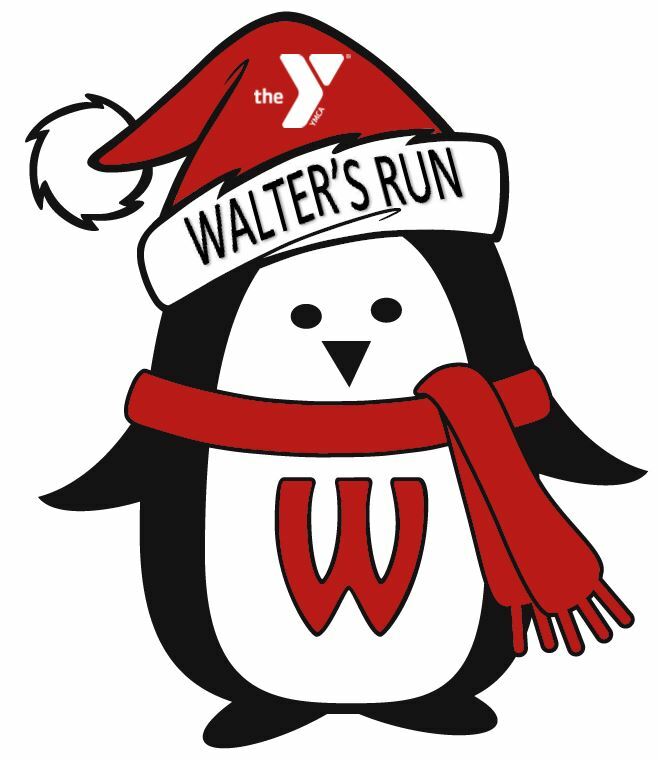 The first 75 pre-registered kids receive a Walter’s Fun Run t-shirt (thank you Parkway Community YMCA!). Day of registration will be available at the Irish Social Club only. Please contact us if you have any questions.